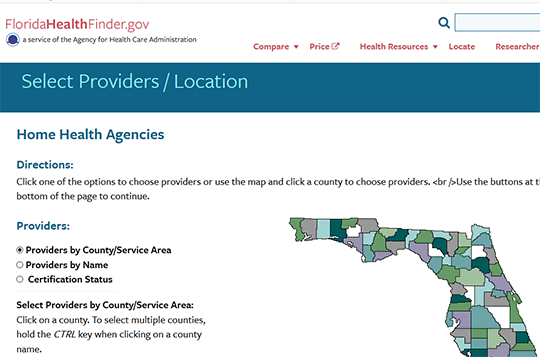 Compare performance data for home health agencies in the state of Florida by geographic location. Performance data and information is available on quality of patient care in these types of health care facilities. For each home health agency, general profile information is available, including accreditation and inspection data.